Hawaii is called the big island for a reason - it's big, really big! We wish we had scheduled at least two more days to really enjoy everything this island has to offer. Five days was not long enough to see and do everything we wanted. Besides the variety of activities we also loved the vibe on this island. It felt like "old school" Hawaii. The pace was slower than what we'd experienced on some of the more popular Hawaiian islands like Maui, Kauai and Oahu. (Sometimes it was too slow, but more about driving on Hawaii later.) The beaches were less crowded, the restaurants and bars seemed less trendy and we never needed a reservation or had to wait 45 minutes for a table. The locals seemed to genuinely enjoy talking with us and every conversation was unhurried. 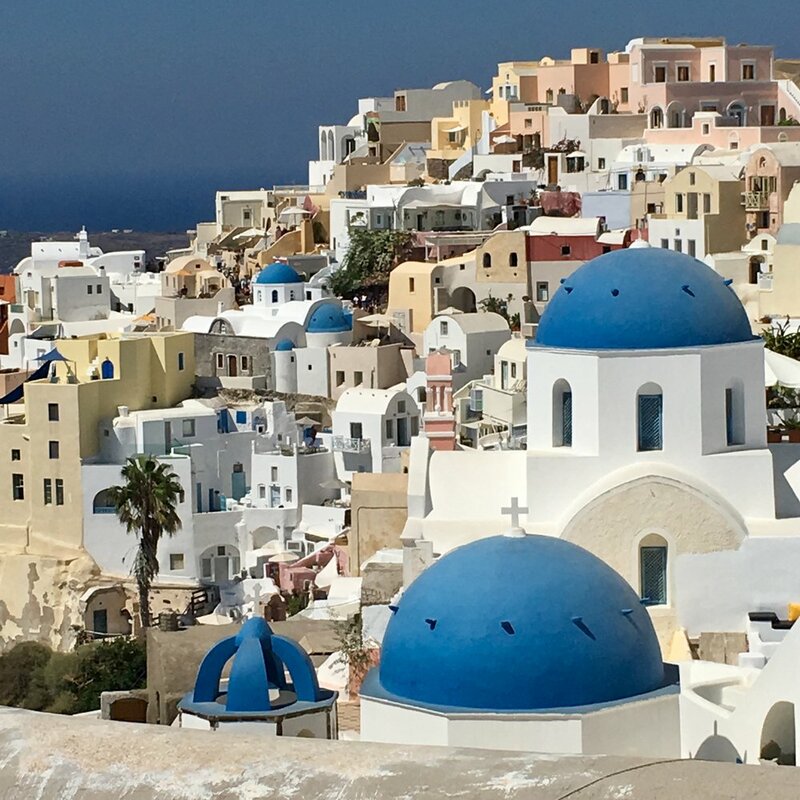 One word kept coming to mind about this island - authentic. Being described as "old school" can be a compliment but it can also imply outdated, like Hawaii's 2-lane Highway 19 that has been in the process of being widened for years and is subject to slow traffic on a regular basis. Also, there are strictly-enforced 35-55 MPH zones on much of the island so getting anywhere quickly is not an option. Give yourself plenty of time to get to where you're going especially if you're driving across or around the island. Also, if you are going to visit both sides of the island, consider flying into Kona and flying out of Hilo or vice-a-versa. It will save you at least 1/2 a day of drive time just going back and forth. Below is our list of things to do in Hawaii. Have fun planning your trip and please share with us in the comments below any activities you would recommend for our next trip to the Big Island. Mahalo. If you have the time, consider spending two nights near the Hawaii Volcanoes National Park. We only planned on one night and wish we had seen more of what the park had to offer. The park rangers at the visitors' center can help you plan your visit based how much time you have. There are more than 150 miles of trails within the park, with hikes and walks for all ability levels, including paved walkways for strollers or wheelchairs. Elsewhere in the park visitors can explore a lava tube, walk on the hardened Kilauea Iki Crater lava lake or trek Devastation Trail. For the more adventurous, actual flowing lava can be viewed by hiking in from the parking lot at the end of Chain of Craters road. It's a about a 4-mile round trip hike. After talking with a park ranger about our limited volcano viewing options because of our late afternoon visit we decided to do a dusk-to-dark walk. We started our 4.4-mile walk from the Kilauea Visitor Center in Volcanoes National Park and headed towards the Sulphur Banks Trail to view the steam vents. We then crossed over to Crater Rim Trail to walk the 2.2 miles to the Jagger Museum and the Hawaiian Volcano Observatory where we could get a great view of the Kilauea Caldera. There were a couple of professional photographers setting up to take some night photos about 200 yards shy of the museum so we chatted with them for a while. They told us the viewing area at the museum would be packed with people once the tour buses rolled in so we hung out with the photographers. They were right. About 10 minutes later at the peak viewing time at least five large buses arrived depositing eager tourists to see the glow of the caldera at its peak - about 7:45pm. We stayed near the photographers and took our photos without any crowds near us whatsoever. After the crowds boarded the buses and left we walked over to check out the museum. Darkness set in pretty quickly so we pulled out our flashlights and started our walk back to the Visitor Center. The wind had really picked up and the temperature had dropped considerably. We had jackets on but could have used another layer of clothing for warmth. Luckily, we had borrowed a large, golf umbrella from our B&B and used it to block the wind on our way back. Thank goodness for the gravel path because in the darkness it would have been easy to get lost without a easy trail to follow. The morning after our night walk at the crater we headed to Punalu'u Beach. This beach, located in the southern part of the island, is known as Black Sand Beach for its gleaming black sand - the result of the island's history of volcanic activity. The sand formed over time as hot lava flowed into the ocean and exploded into tiny fragments and washed ashore. The beach is also home to endangered Hawksbill and green sea turtles. You can view them by walking along the volcanic rock or take a swim in the water for a closer look. Just don't bother the turtles - they are protected. Another popular beach on the southern end of the island is Papakolea Beach. It is near the very southern tip of the island and is one of only four green sand beaches said to exist in the world. (The other three are in the Galapagos Islands, Guam and Norway.) The distinctive green color comes from eroded lava crystals. The beach is only accessible on foot and the approximately 3-mile trail is hot and dusty. Once you leave the parking lot at South Point there is no shade, amenities or restroom facilities along the trail. If you like a good walk and have the time, it's worth it but I would suggest doing it early in the day before it gets too hot. We enjoyed a very nice view of the beach on our approach from the trail and then navigated a moderately steep descent to the beach. The beach was in a nice cove and the current was gentle on the day we were there but locals said it can get a little rough on some days. If you're not up for the walk back there are a few guys with 4-WD vehicles who will drive you back for a fee (about $12 ea.). Just be forewarned that this is supposedly illegal but quite a few people were doing it. Later in the week we visited Kauna'oa Beach at Mauna Kea which has some of the softest, powdery sand our feet have ever walked on. Mauna Kea consistently appears on lists of prettiest beaches in the world. The beach stretches about half a mile and the waters are usually calm. This is the type of beach where you just want to hang out all day and you can. Mauna Kea is a public beach but access to the parking lot is only accessible by passing through the Mauna Kea Hotel property. The public is welcome to eat and drink at the poolside restaurant of the hotel however the Mauna Kea is a 5-star hotel and the prices reflect that. The big island doesn't have as many powdery-soft beaches as some of the other Hawaiian islands but if you're willing to navigate the rocky shoreline you'll be rewarded with good snorkeling waters. Such is the case with Kahalu'u Beach Park in Kailua-Kona. The rocky shoreline at this beach made getting in and out of the water challenging but it was the best snorkeling we experienced all week. The coral was colorful and we spotted quite a few sea turtles and many varieties of fish. An architect friend of ours in San Diego told us about "Flumin' the Ditch" when we told him we were going to Hawaii. I'm so glad we did it. It was one of our most memorable experiences. 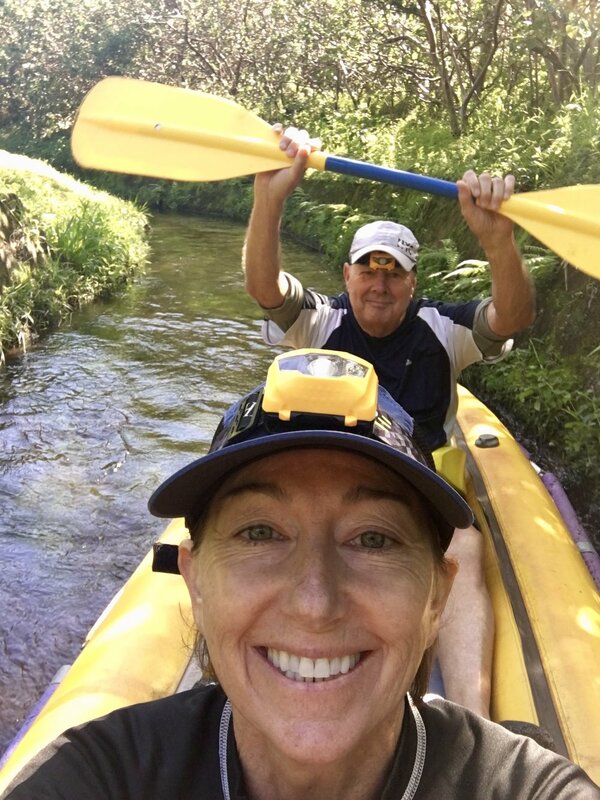 The Kohala Ditch is a fascinating feat of engineering that was designed to bring water to the people of Kohala and provide fresh water to the sugar plantations more than a century ago. 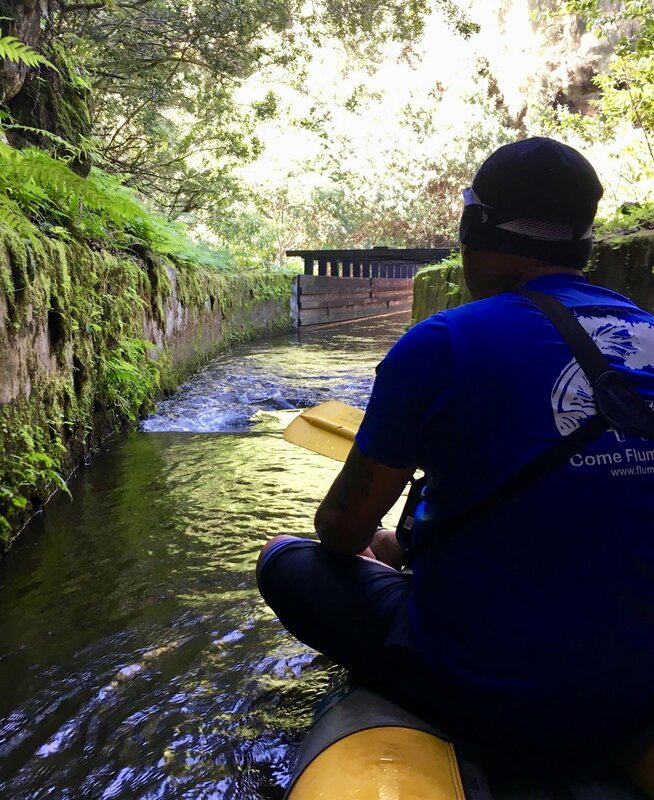 The Kohala Ditch is a 110-year-old system of hand-wrought tunnels, elevated flumes and concrete channels that provide a leisurely, 3-mile float on inflatable kayaks in a remote and lush setting - much of it on private land. Our amiable guides, Vern and Josh told us detailed history of the area as we gently floated through thousand-foot tunnels dripping overhead with spring water or crossed above rushing streams in elevated flumes. The ditch winds its way through dense forest in some areas where we had some great photo ops with waterfalls in the background. At the end of our float, our guide Josh taught us the Hawaiian cheer - Cheehoo! - which is a sound of celebration or the noise of happiness. Click here for Flumin' Kohola info. Hawaii is a big island and getting around to see everything can be a challenge. We didn't take a helicopter ride on this trip to Hawaii bet when we go back we will definitely take a doors-off helicopter ride. These trips aren't cheap but you get amazingly-close views of active volcanoes before cooling off above rainforests and waterfalls. There are four breweries on the island - Kona Brewing Company (Kona), Ola Brew Co. (Kona), Mehana Brewing Company (Hilo) and Big Island Brewhaus (Waimea). We looked for the local brews on menus and drank local when available. Whether it's at a dive bar or a fancy resort be sure to imbibe in a classic Mai Tai while you visit Hawaii. We never got tired of watching the sunset every night.